The death penalty puts innocent lives at risk. Since 1976, 143 condemned individuals have been freed nationally because of actual innocence or profound doubt as to their guilt. Of the more than 1265 persons executed since 1976, it is highly likely that some were innocent. During the same period, six people in Oregon have been exonerated of murder convictions, several of which could potentially have resulted in death sentences. The death penalty does not deter murder. Almost all criminologists agree that the death penalty is not a deterrent. In fact, the murder rate in death penalty states is higher, on the whole, than the murder rate in states without the death penalty. There are better ways to serve the needs of victims of violent crime. Prompt imposition of lifelong imprisonment, coupled with serious and sustained attention to the needs of survivors, constitutes a wiser and more humane response to homicide. The death penalty is costly. 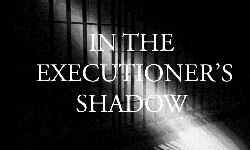 The millions of taxpayer dollars spent annually on the death penalty could be used for many purposes that would make us demonstrably safer: additional police on the streets; domestic violence and child abuse prevention programs; drug courts and treatment; early childhood education—to name just a few. The death penalty is arbitrary and unfair. Many of the murders for which death has been imposed in Oregon are indistinguishable from the murders which have resulted in life imprisonment. The death penalty is applied unequally to the poor, people of color, and those with diminished mental capacity. Such considerations are intolerable where life and death are concerned. The death penalty creates additional victims. No juror should be asked to decide whether an offender should live or die, and no corrections officer should be asked to participate in the killing of another human being. Their mental health should not be jeopardized where there is no clear and compelling benefit to society. Oregonians should repeal our state’s use of capital punishment.